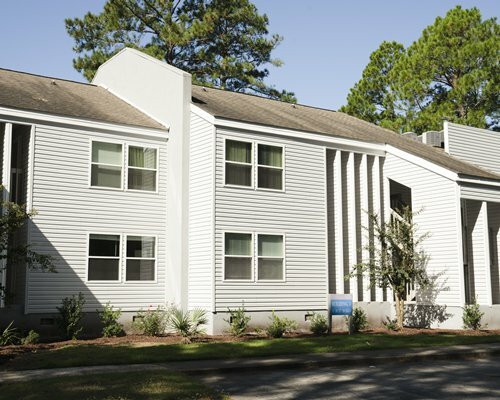 The oceanfront Golden Strand is a family-friendly condominium on North Carolina's legendary Outer Banks. Beloved for its prime location, sun-worshipping guests will wrestle with whether to spend their days on the broad expanse of white sand beach or stake their claim to a lounge chair by the well-maintained swimming pool. The youngest guests will enjoy their own children's pool and colorful new playground. Watching the sun rise, spotting dolphins along the shoreline, fishing and long beach strolls are among the favorite activities at this low-key property. 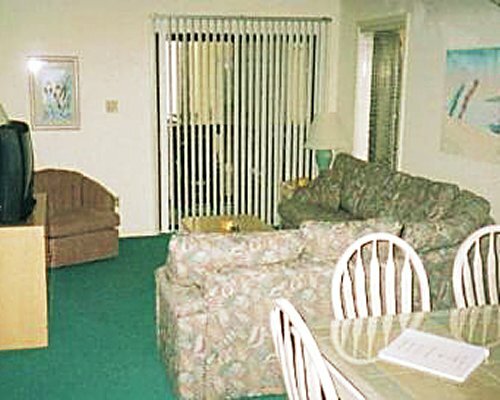 The Golden Strand's two-and three-bedroom condominiums accommodate up to eight guests in spacious, well-furnished air-conditioned units. 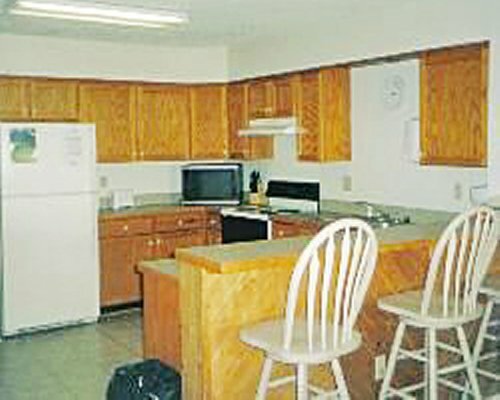 All units have nicely equipped kitchens with full refrigerators, microwave ovens and dishwashers, and attractive dining areas. 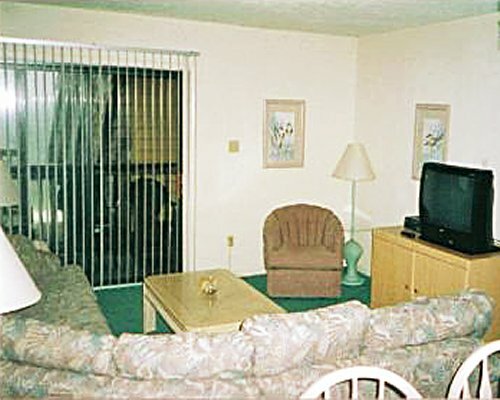 Many living areas have sliding glass doors that open to balconies with spectacular views of the shimmering Atlantic Ocean, close enough to hear the soothing sounds of the sea while drifting off to sleep. Carpeting keeps floor surfaces comfortable for the youngest guests. 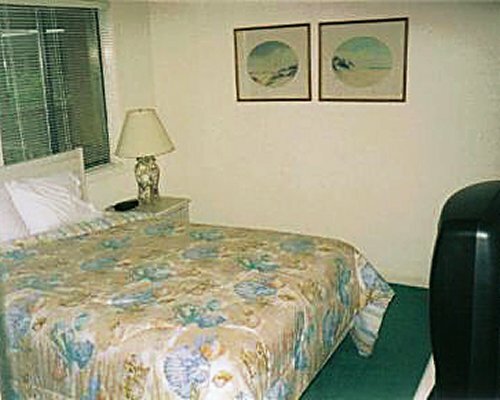 All units have telephones and color televisions. 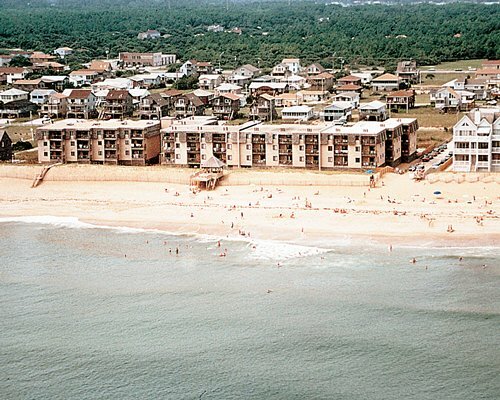 The nearest commercial airport to the resort is in Norfolk, about 90 miles away. 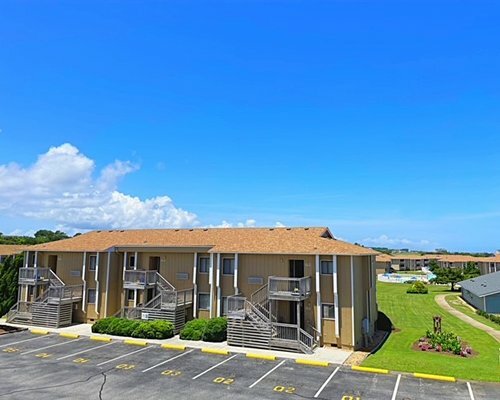 Take Highway 64 to U.S. 168 at Great Bridge, then take U.S. 158 to the town of Kill Devil Hills on the U.S. 158 Bypass. 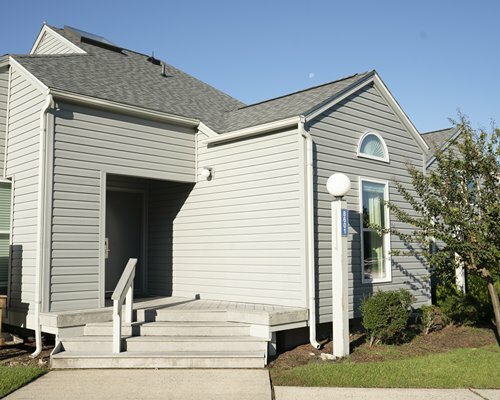 After passing the Kill Devil Hills Police Department, go left on First Street and one block to the ocean. 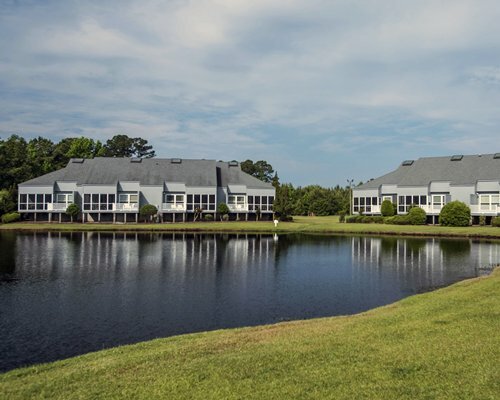 If coming from Raleigh, NC take Hwy 64 to Manteo, NC. Follow U.S. 158 Bypass to the town of Kill Devil Hills. Turn right on First Street and follow one block to the resort.